When you think about the various types of organizational structures—of which there are so many—are your feelings relatively consistent from type to type? Or, especially for alternative models to hierarchy, is your experience pretty limited? 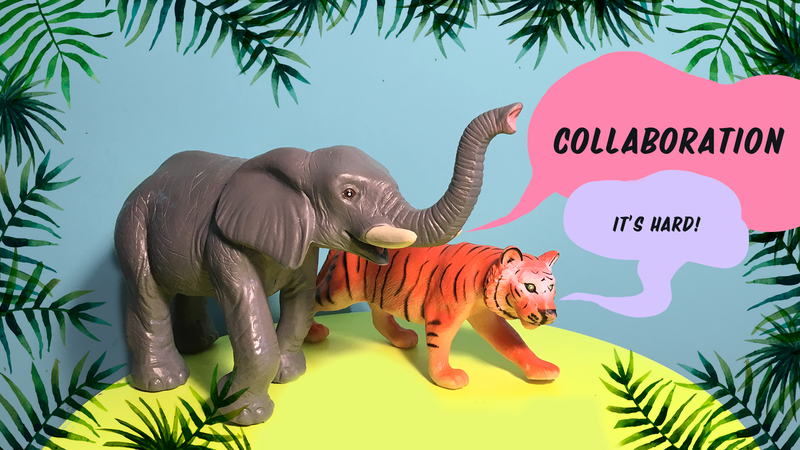 As I prepared for a timely conversation on June 7 for Pollen’s #LikeABoss | Collaboration. It’s Hard. event, I found myself reflecting on my own assumptions, revisiting some past research, and becoming increasingly excited about the opportunity to have this conversation with peers—long overdue in many ways. Myth: A strong hierarchy is a good indicator of accountability. In an industrialized nation, hierarchy does indeed provide a chain of command for accountability. However, this structure is shattered at any point along the pyramid in the midst of toxic leadership (or lack of leadership). Shared-power organizational structures emphasize personal accountability and shared leadership. In an age when whistle-blowers aren’t always protected and personal liability is at stake, sometimes standards of personal accountability can seem additionally risky. But it’s important to know that accountability isn’t innate to hierarchy. It is, and has been, directly tied to personal accountability of those in power. And when power is collectively shared, that risk is lessened. Myth: A hierarchy is the most effective, efficient structure to get things done. If you are building a Model-T Ford, an assembly line with a hierarchy of responsibility might be a great way to speed up your production and efficiency. But we know that in a modern era, particularly in nonprofits, this isn’t the type of work we’re doing. Is a hierarchy the best way to fulfill nonprofit missions, teach, or even build websites? While hierarchical models may have once provided a “safe” place for traditional male competition in the workplace, increasing involvement from female workers is one factor pushing organizational models away from the hegemony of hierarchy. Jean Lipman-Blumen, who specializes in successful work-groups and collaborative organizing, argues that for females it is connectivity in the workplace that provides a web of safety, and that this form of connectivity is more appropriate for the interconnected, global society. This goes for eradicating hunger, publishing content, or even website building and coding. Apache is built on a collaborative development process, and it powers more than half of all web servers in the world. Myth: Shared-power structures are a new fad. Shared-power, collaborative structures aren’t all that new. In fact, these types of organizational constructs predate known hierarchical methods of organization in many instances—and in others, have existed equally as long. In addition to numerous other research about old Norse civilizations, archeologists like J.E. Levy claim, based on their discoveries, that social and religious organizations in Bronze-Age Denmark were not all hierarchical. Gerald Fairtlough, a management thinker, noted that a shared-power structure “reduces the danger of tyranny, helps cooperation and commitment to common goals, fosters coevolution, teamwork, learning, and innovation, is pluralistic and uses diversity.” Shared-power structures are a clear way to address structural inequity within organizations. There’s a very transparent power dynamic in hierarchy that affects everything from workplace culture to wage negotiation. By shifting the way organizations are structured, we create an environment that addresses inequity in the workplace with each staff interaction. Not only does this shift the power dynamic, it builds organizational trust among peers and enables more open, creative collaboration. In global economy that is rapidly evolving, in a nonprofit sector in which community needs are rapidly changing, we need organizations that can innovate quickly and adapt easily to meet the needs of its stakeholders. Shared-power organizations have demonstrated to be great models for adaptation and flexibility. And, as it should be, this conversation is ever-evolving and there’s so much we have to learn from each other.